Social media has taken over and these days more people than ever are using the app Instagram as a tool to find their perfect holiday destinations. 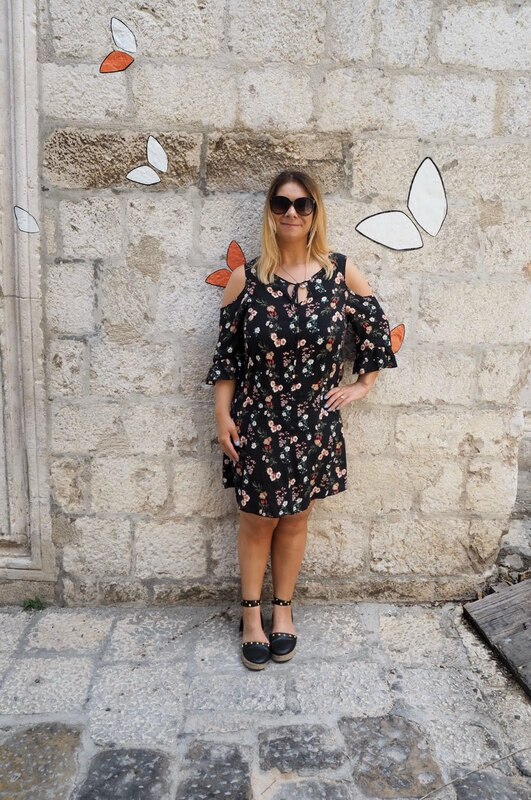 Whilst the images portrayed on social media can often be far from the truth, it’s so satisfying being able to track down a sightseeing spot you’ve been lusting over online. 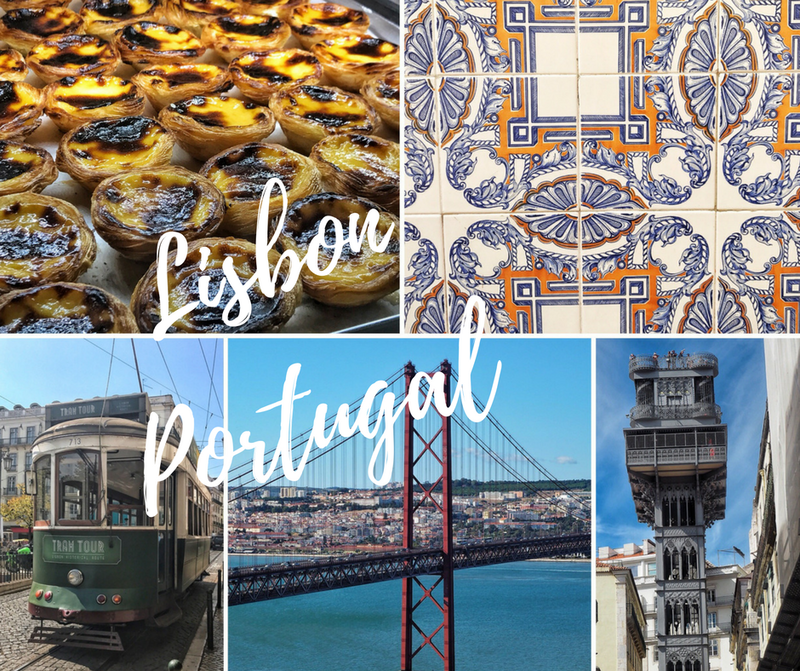 In this post, I have hunted down Lisbon’s best Instagram photo locations so you don’t have to! When visiting a country with a warm climate, it’s sometimes hard to get us Brits away from the beach. Prior to visiting Lisbon on a recent birthday trip, the two previous trips I’d made to Portugal had been to the Algarve. Whilst the Algarve has the most gorgeous golden beaches, I couldn’t wait to check out what else Portugal has to offer. 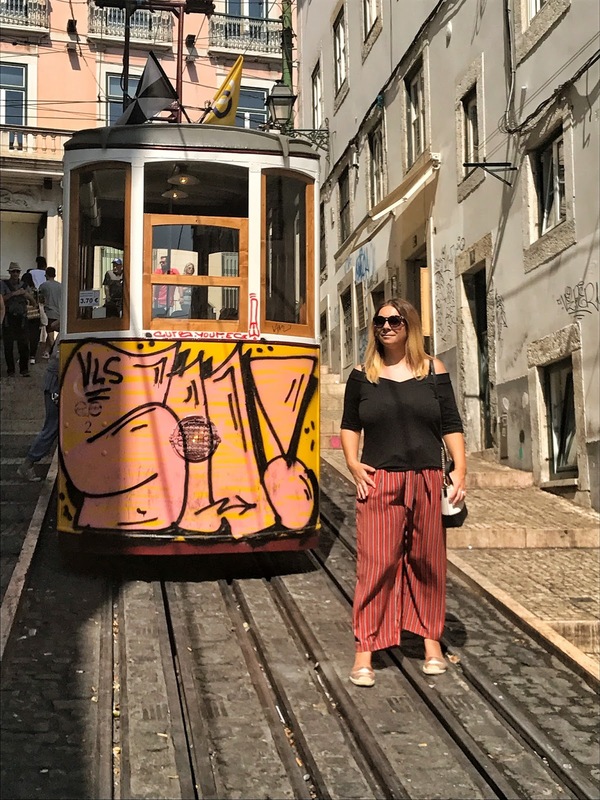 Lisbon was the perfect destination for my birthday trip, lots of shopping (we all know I like to shop) with heaps of culture thrown in. 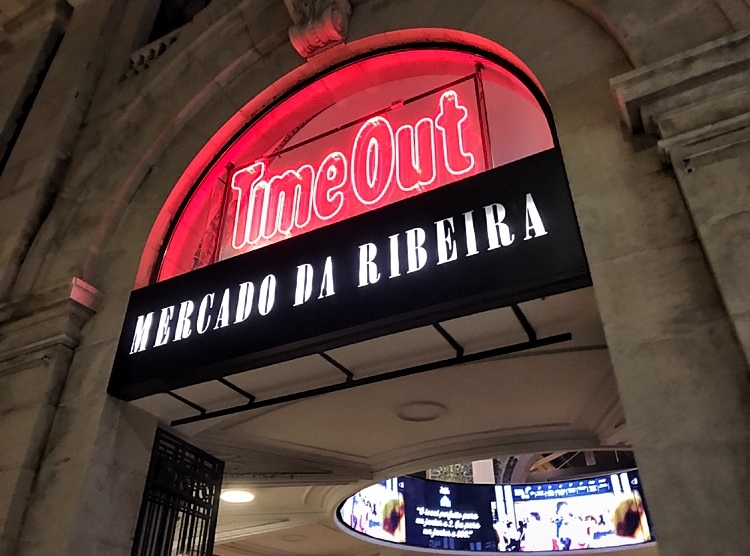 It was a lovely long weekend break for Adam and me, but a girl’s weekend in Lisbon would also be ideal as there’s only so much shopping Adam can take! 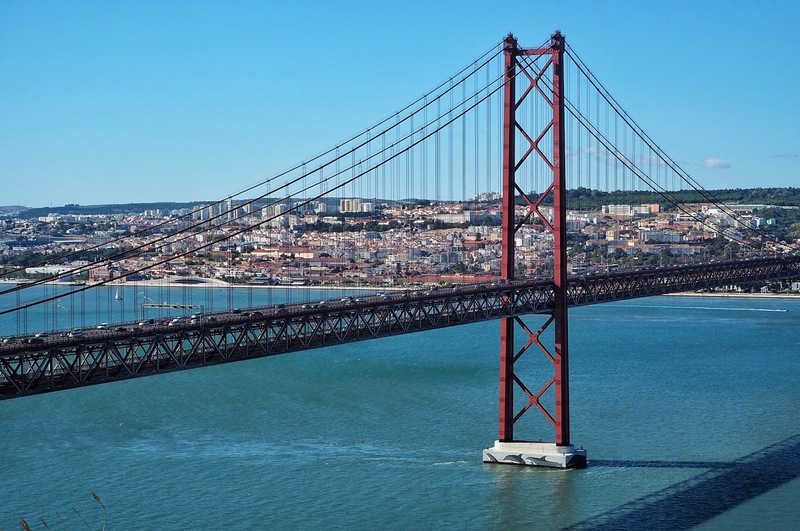 Many of the main sightseeing spots are within close proximity, therefore you can really make the most of your time in Lisbon. 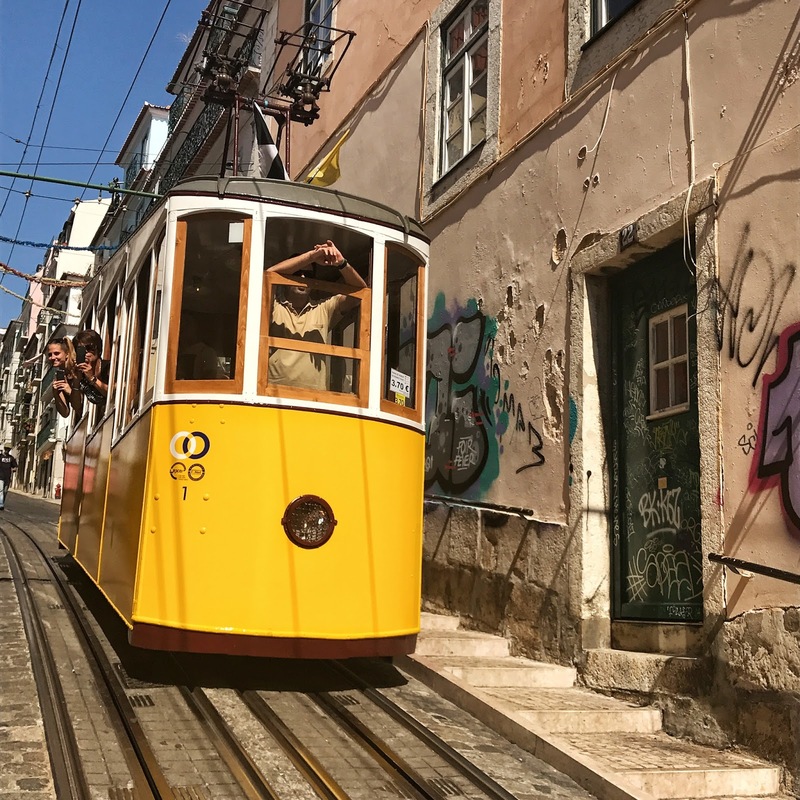 There is so much to see and, with this in mind, a 3-day itinerary for Lisbon is perfect to ensure you see the majority of what Lisbon has to offer. 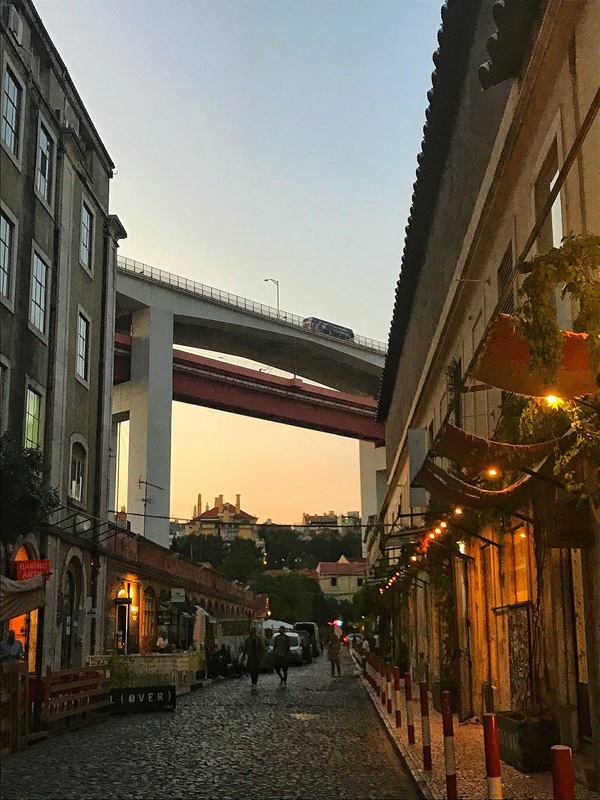 No need to keep scrolling, in this post I have sourced all of Lisbon’s Best Instagram photo locations so you don’t have to! Love finding Instagram locations as much as I do? You may want to check out Instagram locations in Rome. The beautifully constructed arch is located within two minutes walk of the Santa Justa Lift. The Arch is the perfect backdrop for those iconic Instagram pictures. 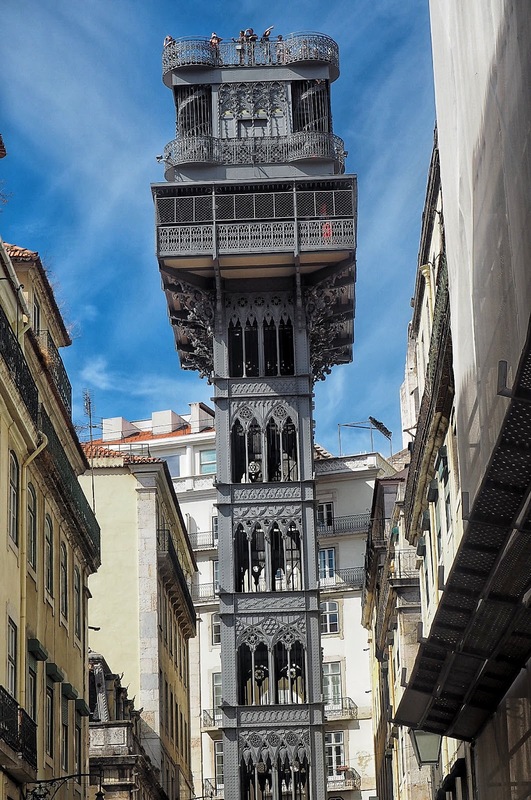 Though the castle is only around 15 minutes walk from the Rua Augusta Arch, it’s an uphill climb! Adam and I opted for a tuk-tuk up to the castle, paying our driver Pedro 10 euros for the fun ride. 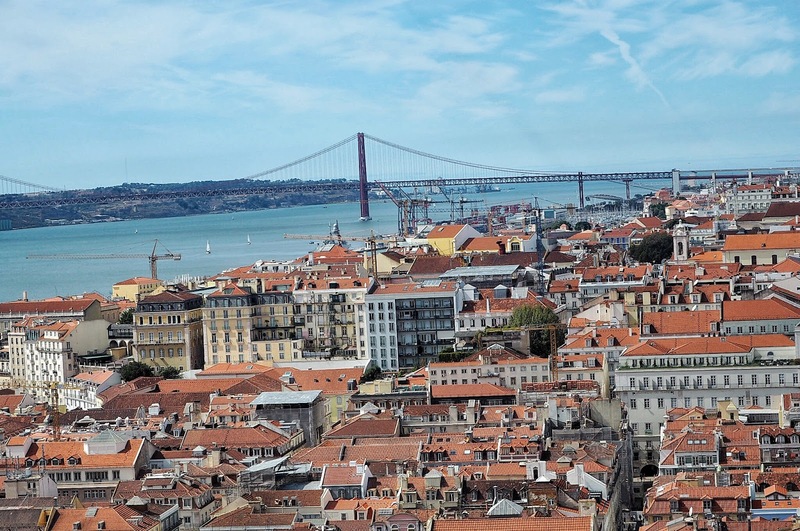 The castle has the most amazing views of the city, with the 25 de Abril Bridge visible in the distance. Peacocks are meandering around in the castle grounds or can be seen perched on the branches of the trees. I don’t know what it is about peacocks but they seem to be a holiday staple this year and, seeing them in Lisbon reminded me of Lokrum; the peacock inhabited island in Croatia. Further down is a cute little ice cream parlour adorned with traditional tile walls and an amazing selection of ice cream. I chose one scoop of pistachio (my fave flavour from Croatia) and one scoop of cinnamon. 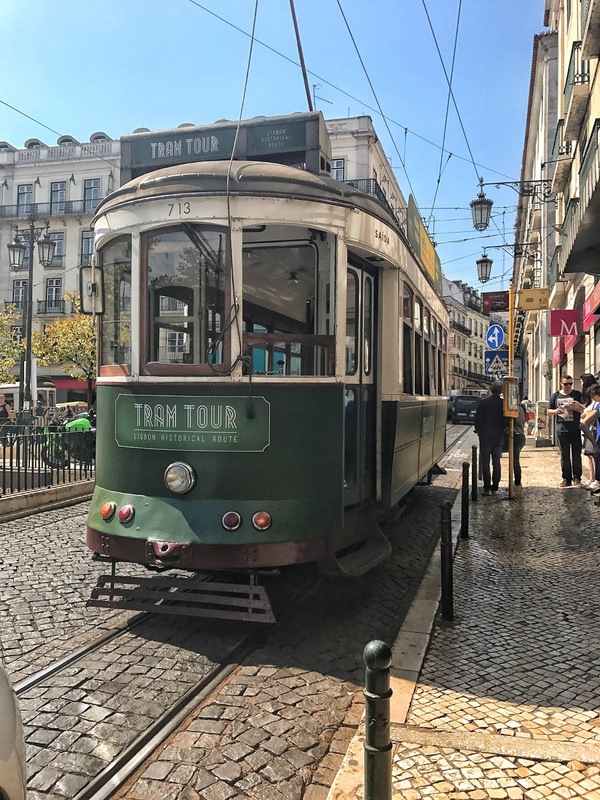 You can’t go to Lisbon without capturing an iconic tram pic and whilst there’s plenty of opportunities, the best place I found was the Elevador Da Bica located on Rua Da Bica De Duarte Belo. This tiny street is perfect for those iconic shots. Some of the trams even do tours, which seems like a great way to explore the heart of the city. Looking for somewhere to stay in Lisbon? Check out my review of The Lisboa Pessoa Hotel. 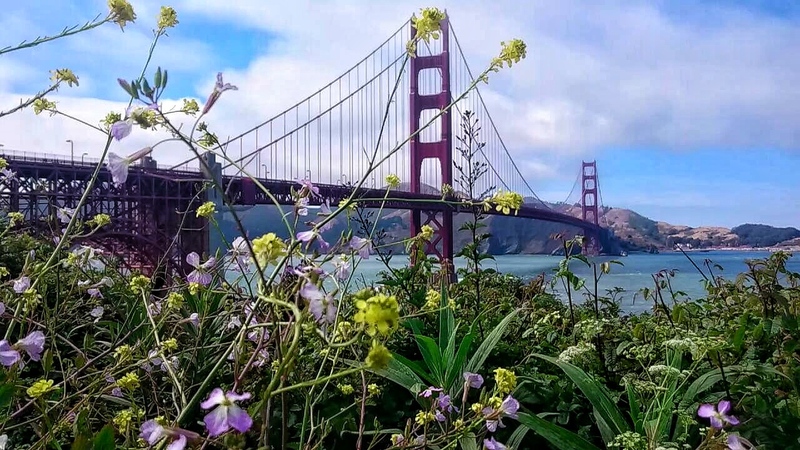 All the San Francisco vibes with this golden gate worthy bridge! If I hadn’t seen it with my own eyes I would be convinced this was California’s own Golden Gate Bridge! 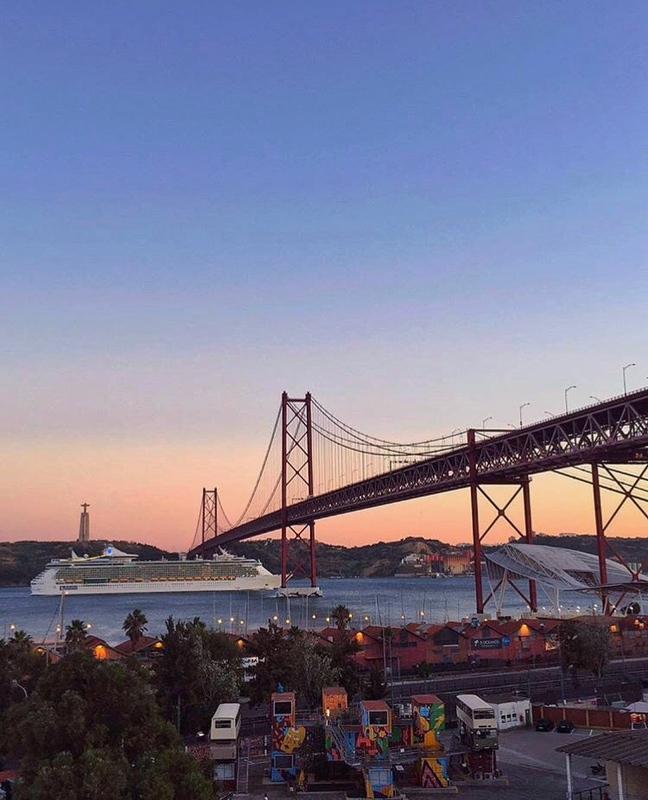 The bridge is quite a way out of the city and we were lucky to see it for ourselves on a custom tour with Traveling to Portugal. If you can see it, it’s well worth a visit. The bridge is located right next to Cristo Rei; a replica of Christ the Redeemer and given to Portugal as a gift from Brazil. 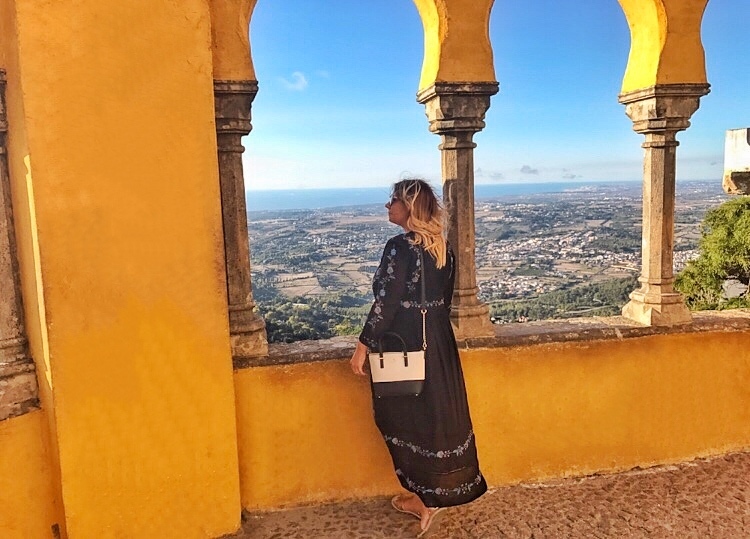 No trip to Portugal is complete without visiting Sintra as it really is one of the most stunning places to visit around Lisbon. After lusting after pictures of Sintra on Instagram, I knew I’d have to see it! 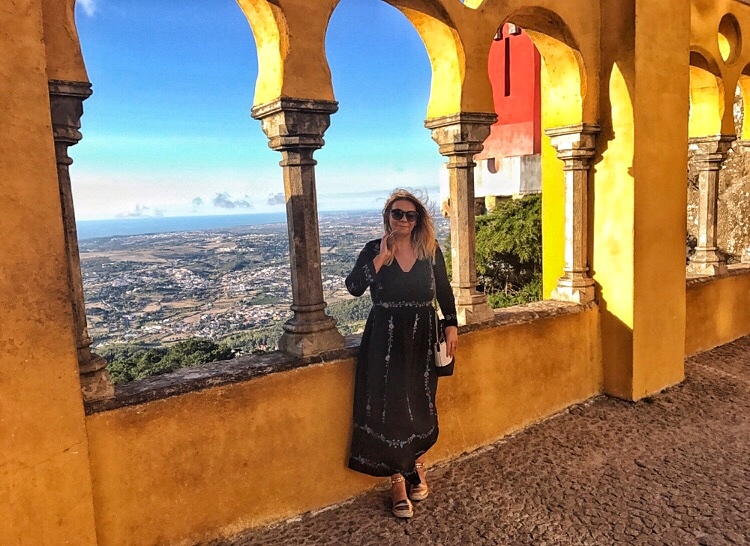 Full of ancient castles and fascinating history, Sintra almost looks like it’s been plucked straight out of a fairytale. Sintra is a UNESCO World Heritage Site and, it’s undeniable beauty provides a welcome break from the city. Adam and I booked the Sintra tour with Alex from Traveling to Portugal, who picked us up directly from our hotel. 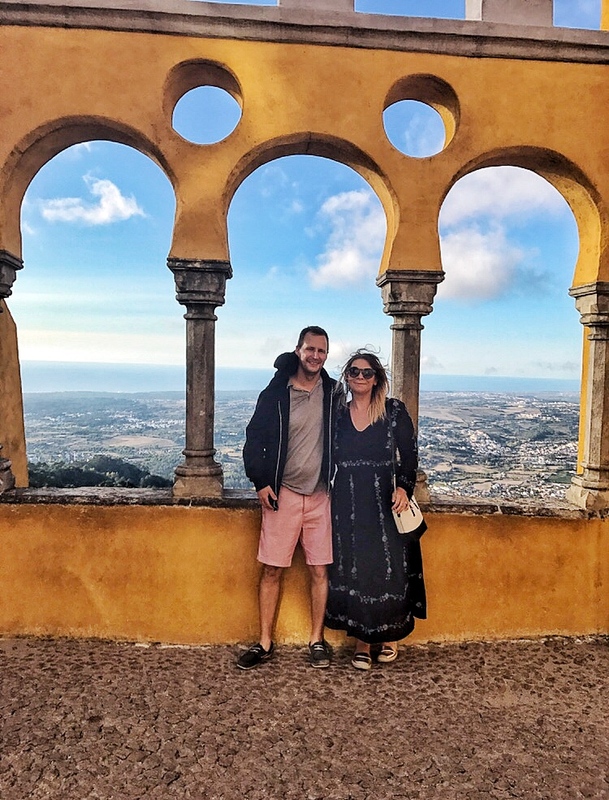 The first stop on the Sintra Tour is Pena Palace, which is a wonder to the eyes. 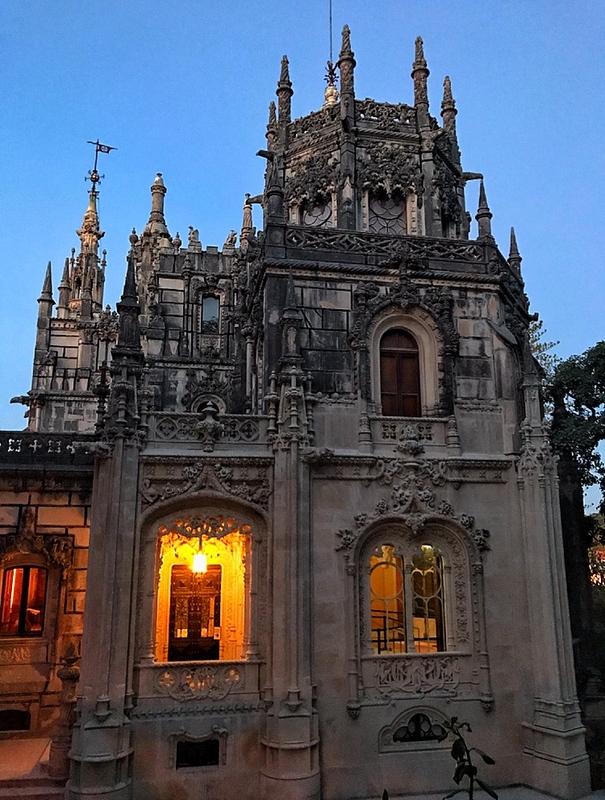 This vibrant palace is adorned with beautiful Portuguese tiles and statues. It looks like something straight out of a fairytale with turrets and sweeping views to match. 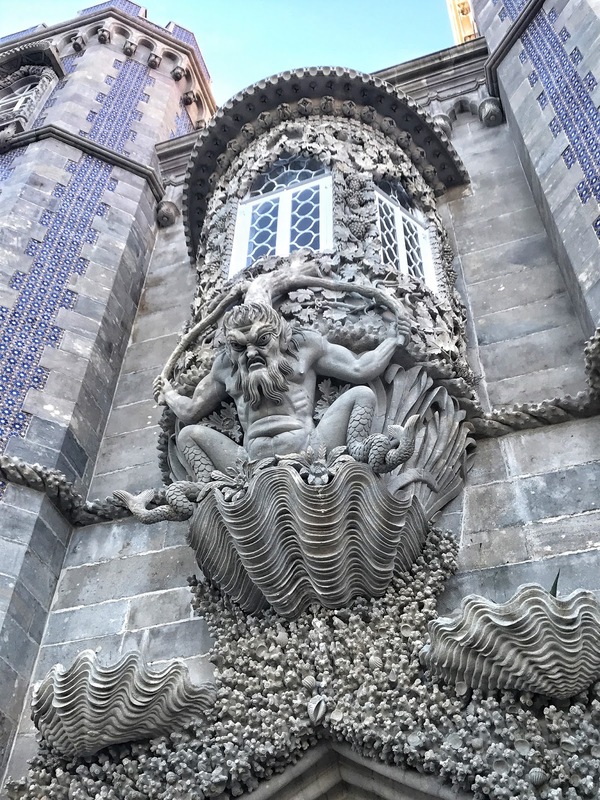 Quinta de Regaleira is a complete contrast to the bright, opulence of Pena Palace. For its unique structure combines the influences of Renaissance, Egyptian and Moorish characteristics. 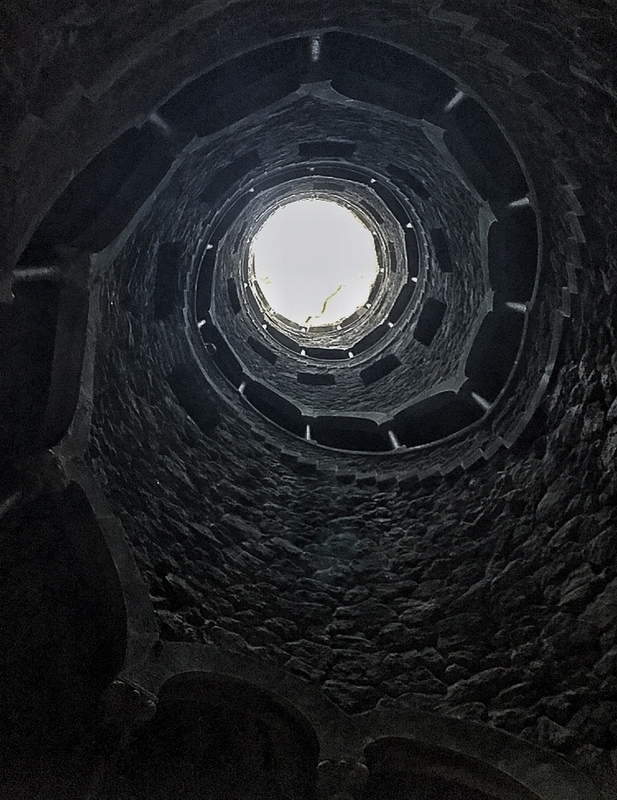 Of all the places we visited during our time in Lisbon, I was most intrigued by Quinta de Regaleira‘ s gothic architecture and mysterious labyrinth of initiation wells. Alex explained the unique history of the estate, thought to be previously owned by a Freemasons leader who used the web of tunnels beneath the estate for secretive initiation rites. The tunnels, which would be pitch black back in those days (we got the feel for it doing an evening tour) were used to determine the bravery of the initiates. Legend has it, the initiates’ destiny would be determined based on the tunnel they emerged from. Each tunnel is based on one of the four elements: fire, earth, air and water. As we took all four tunnels, it’s hard to say what our destiny will be. Though, I’d like to think the air element meant we would be flying somewhere, fire meaning somewhere hot, water meaning we can have a dip in the sea. All in all, we will be able to see more beautiful places on earth. We can all dream! 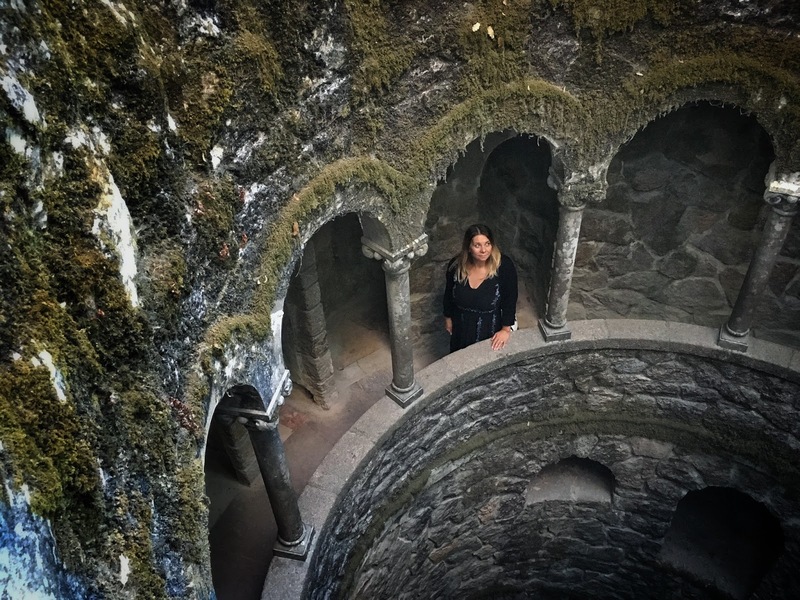 Quinta de Regaleira is fun for all the family and reminded me of the intrigue I had with films like The Labyrinth and when I first read the Harry Potter books. Now, there’s one place on the Sintra Tour that we didn’t make *sad face* Cabo da Roca, which is the most westerly point of mainland Europe. It’s my own fault for leaving the trip until last minute, thus missing out on an incredible opportunity to take stunning pictures of the cliffs at sunset. Make sure you don’t make the same mistake! 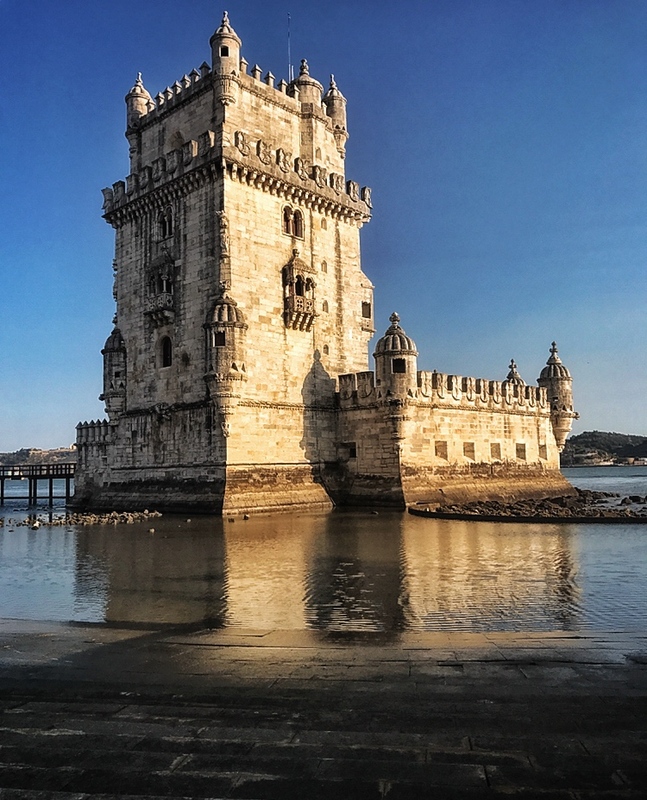 Leaving the train you will see the stunning architecture of the Monteiro dos Jerónimos, which like the Belém Tower is also a UNESCO World Heritage Site. 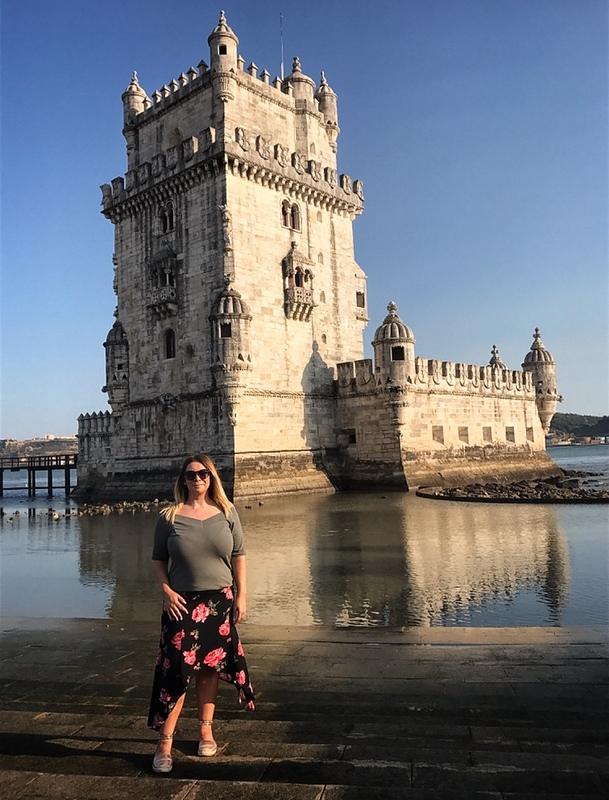 Both attractions are a wonder to see and we managed to get some fantastic shots of the Belém Tower at 6pm when the crowds are less busy. 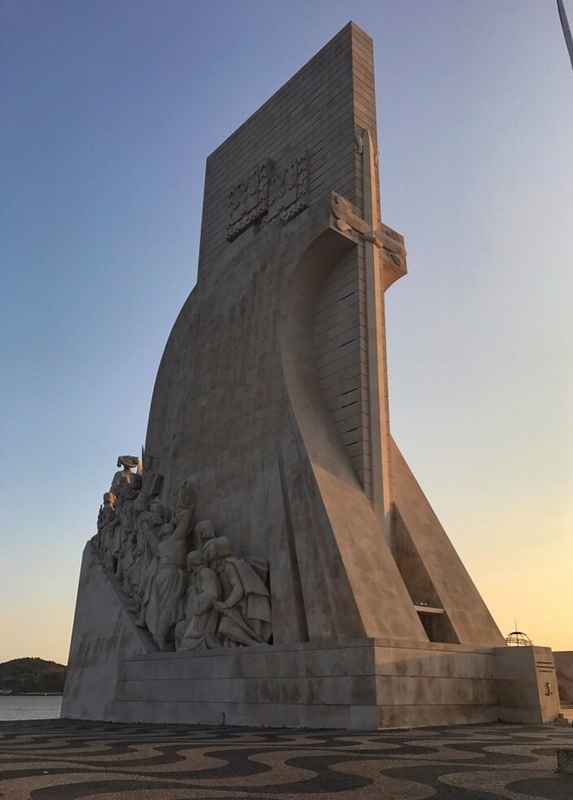 The detail of the Monument of the Discoveries is impressive up close and another benefit of visiting Belém late afternoon is that you can get some fabulous pictures of these monuments during the sunset. We enjoyed a drink overlooking the water and it was a nice way to unwind. 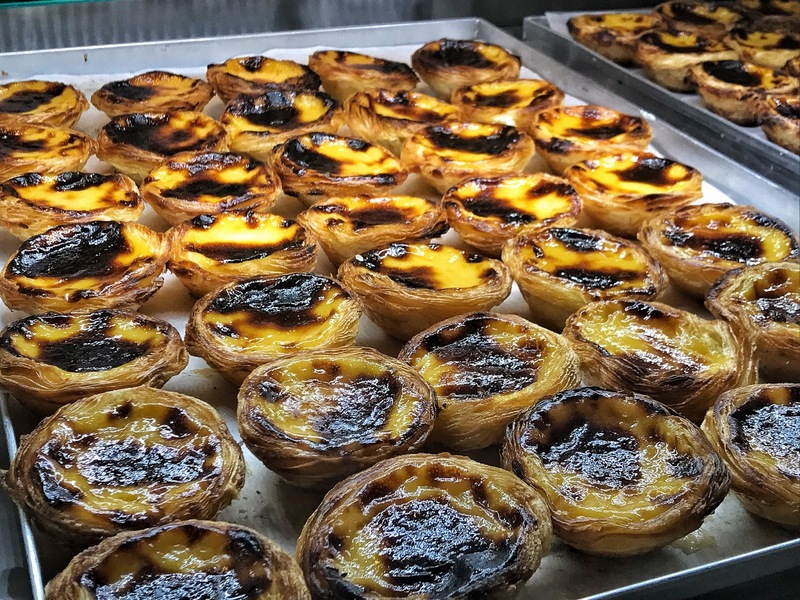 The tram back is located in front of the famous Pasteis de Belém, providing a good reason to tuck into more nata! 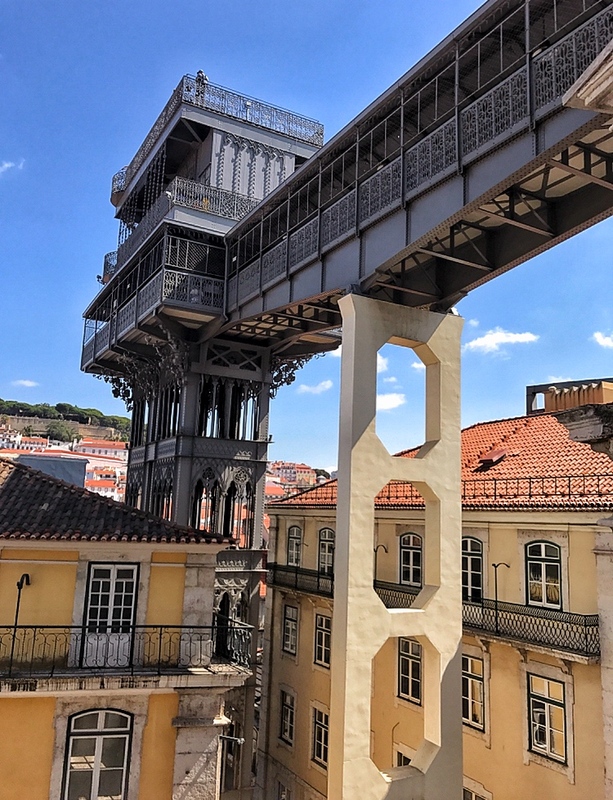 The ‘hippie’ area, LX Factory is located under the 25 de Abril bridge and not wanting to miss out on this trendy location, we made an impromptu stop on our way back from Belém by getting off the tram at stop 53. 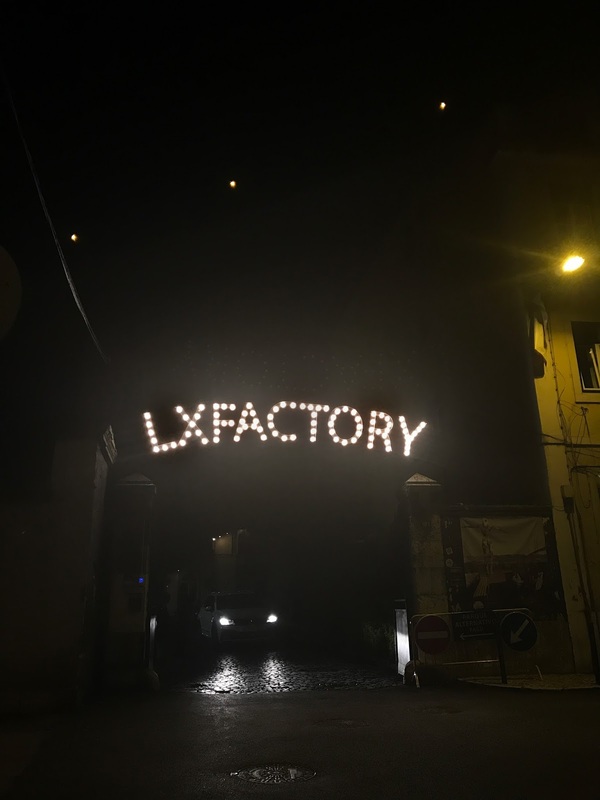 Visiting the LX Factory at sundown is a good time to visit, as there is a bar overlooking the bridge with the most incredible views. 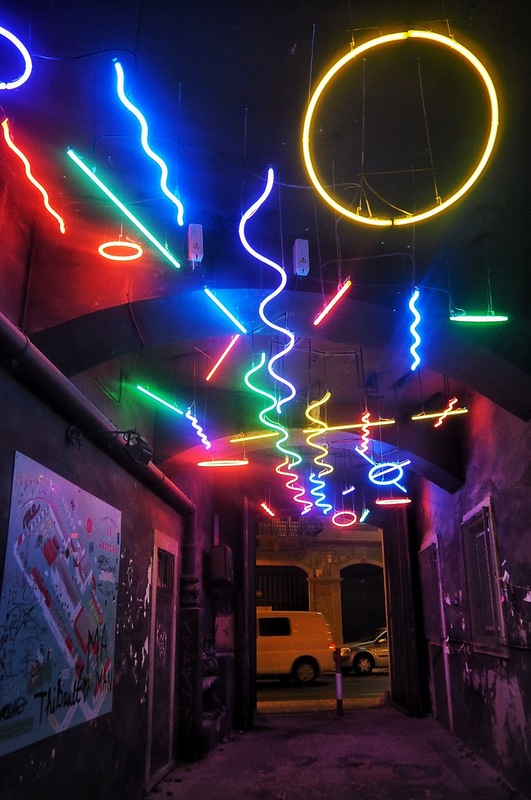 The LX Factory has a selection of restaurants, vintage shops and concepts stores as well as a very cool bookshop. There’s also a great selection of graffiti art, which made me reminiscent of Haight Ashbury in San Francisco and Shoreditch in London. 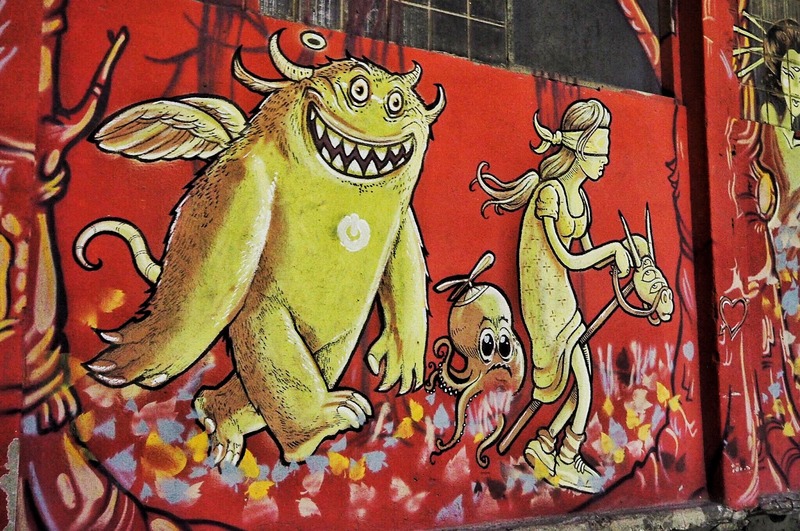 Check out the amazing street art in Porto (Portugal’s second city) – click here to read. After all the sightseeing, we found ourselves tucking into something tasty at the Time Out Market on a couple of occasions. 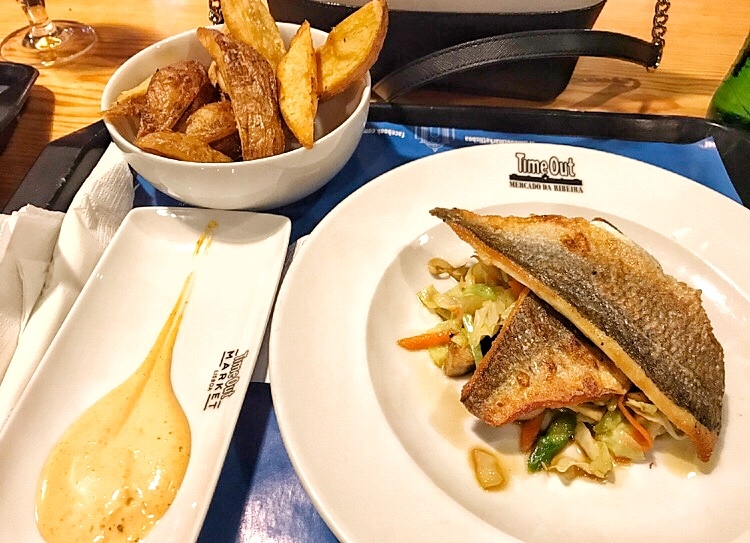 You choose your restaurant, find a seat and tuck in! It’s a great way to grab something quickly if you’re on the go. Now you know where to head to capture the photos for your Instagram feed you’re well on your way to having a gallery full of photos! During my three day trip to Lisbon, I took in excess of 1K photos and videos! 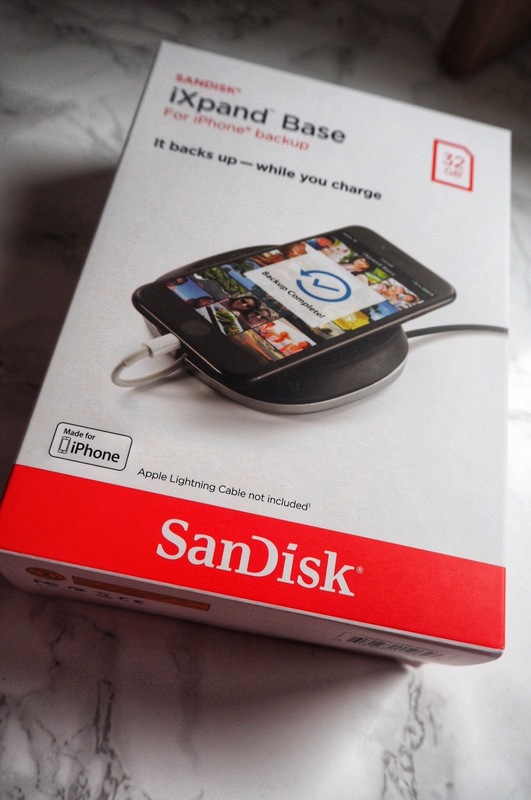 The SanDisk IxPand Base is an absolute godsend for storing those holiday keepsake photos. 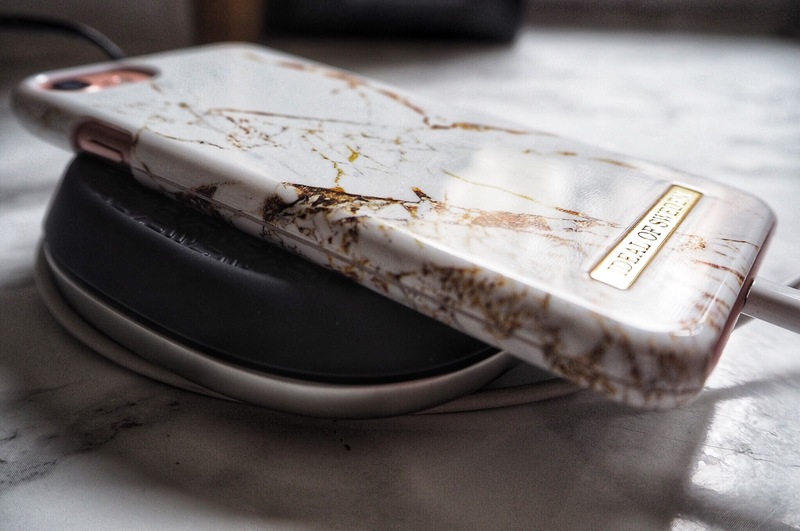 The handy little hard-drive backs up all your media and contacts, whilst giving your phone a lightning charge. It’s also a lot smaller than I expected so it’s handy to have with you if you’re on the go too! Definitely worth getting one if you take anywhere near as many pictures as I do! 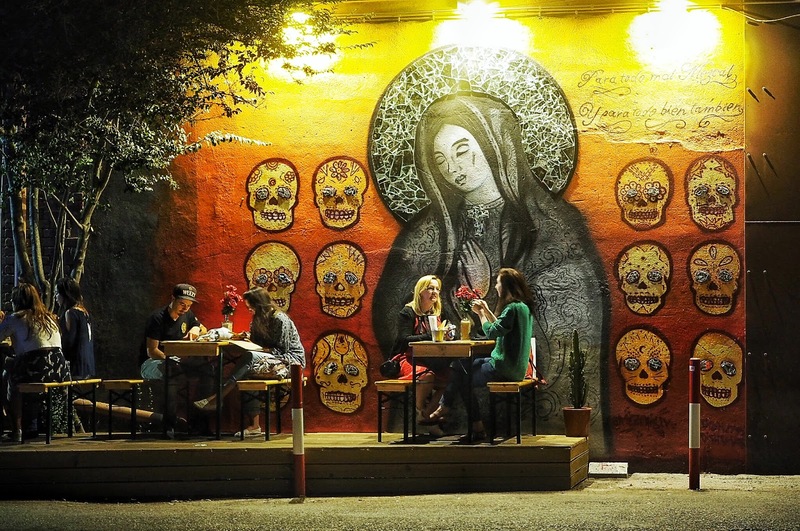 Who else is guilty of lusting over travel destinations on Instagram? !